When outside temperatures soar, you may be tempted to crank up your air conditioner. In this video, you will learn all about how smart air conditioner use can help to reduce your energy bills . With a programmable thermostat, you can make sure that your air conditioner is not operating when you are away from the house. With these simple tricks, you can achieve the best efficiency from your HVAC in Murfreesboro. If your home is ready for a new AC installation, be sure to get in touch with a top rated HVAC company in your area. A team of technicians that specialize in HVAC installation will be able to help you choose and install the perfect air conditioning unit for your home. After your AC installation is complete, you will enjoy peak efficiency, even on the hottest days. If your furnace is running less than efficiently, you’ll pay the price in the form of a colder house and higher heating bills. Fortunately, there are some simple steps you can take to ensure that your furnace stays as efficient as possible. A clogged furnace can significantly harm the efficiency of your furnace, so you should learn how to change your furnace filter. Remember to switch out your old filter for a new one every month or so during periods of frequent furnace use. You should also have your heating system inspected and cleaned by an HVAC maintenance professional in Murfreesboro before the start of the winter season. You’ll be running your furnace regularly when the weather is cold, so it’s important to ensure that your system is prepared. 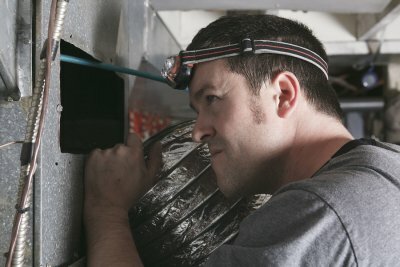 A professional tune-up is the perfect way to make sure that your furnace is running at top capacity when you most need it. If you are suffering from allergies or respiratory issues at home, there is a chance that your household may be dealing with poor indoor air quality. Fortunately, with proper air conditioning service and duct sealing from an HVAC company near Murfreesboro , you can address your indoor air problems at the source. Cleaning and maintaining your HVAC system is one great way to ensure that you and your loved ones are breathing clean, healthy air. To highlight the importance of HVAC and duct cleaning, here is a review of some of the most common indoor air pollutants. VOCs are among the most common sources of indoor air pollution. The term VOC stands for Volatile Organic Compounds, and these molecules are found in cleaning solutions and other products that you may use on a daily basis throughout your house. Many common household products, such as floor polish or paint, contain high concentrations of VOCs. Before you embark on a household cleaning project, you will want to choose products that are labeled as being VOC free. Household mold is another primary source of indoor air pollution. While mold may appear to stick to your walls or flooring, mold spores can actually infiltrate your indoor air. These invisible spores can cause serious health issues when they are inhaled on a regular basis. Itchy eyes, wheezing, coughing, and skin rashes are all health symptoms that could be the result of black mold pollution in your home. If you are a pet owner, your furry friend could be contributing to an indoor air problem in your household. Pet fur and dander can become trapped in your air ducts over time. When your ducts are filled with pet dander, you may experience aggravated pet allergies when you are at home. A company that specializes in duct cleaning will be able to clean out your HVAC ducts and ensure that your home has safe indoor air. Purchasing a new home is an exciting investment for any family. When you buy your first house, however, you may feel overwhelmed by the many systems that require maintenance and upkeep. Hiring an HVAC company to provide you with air conditioning service and furnace repair will allow you to stay comfortable throughout every season of the year. Before you set up services for your HVAC in Murfreesboro, you will want to learn about the basics of maintaining your system. 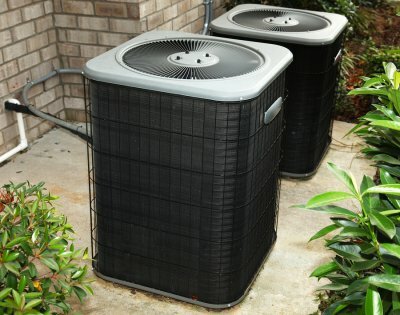 Here is a new homeowner’s guide to caring for an HVAC unit. HVAC systems require routine maintenance. 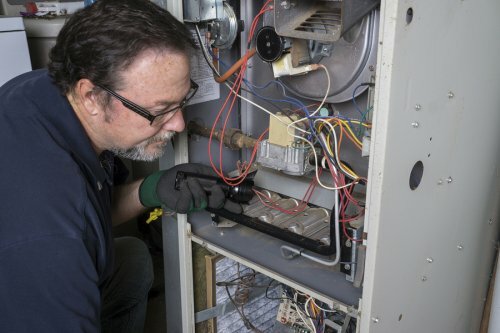 While it may be tempting to wait to repair your HVAC system until a problem arises, preventative maintenance is key when it comes to maintaining your unit. Your HVAC company will recommend that you set up routine maintenance procedures at the start of each season. During a routine maintenance procedure, your technician will check the belts or moving components in your unit, change the air filter, and inspect for any signs of a potential maintenance problem. HVAC systems should be professionally maintained. Some HVAC maintenance procedures, such as air filter changes, can be performed by the homeowner. Other repair services, however, should always be left up to the professionals. When you trust your HVAC repairs to a skilled technician, you can make sure that your system is restored to safe working condition. Your HVAC technician will also be able to help prevent maintenance or repair problems in the future. HVAC issues should be addressed immediately. During the upcoming winter season, you will want to be on the lookout for any signs that your furnace or heat pump is not running properly. If you notice that some of your rooms are hotter than others, or that your heating bill has suddenly skyrocketed, your HVAC system may be in need of repair. In some cases, an HVAC system that has been improperly maintained for many years may also need to be replaced.